Kett Craven's practice is focused primarily in personal injury, general litigation, and wills, trusts, and estates. 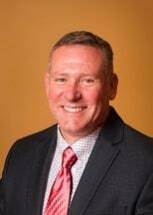 Kett returned to private practice in 2017 after nearly 20 years working as an attorney and claims manager at an insurance company. He holds the Chartered Property Casualty Underwriter designation, and his understanding of the insurance industry, the mechanics of insurance policies, and the claims process allows him to communicate well with insurance adjusters and other insurance personnel, and to readily grasp what has happened in an insurance claim, before and after suit has been filed. Kett did his undergraduate work at the University of Missouri, where he completed his Bachelor of Science in Education in 1986, and then taught high school before attending law school. After obtaining his JD from the University of Missouri - Kansas City School of Law, Kett was admitted to the Missouri bar in 1991, and to the Kansas bar in 1992.